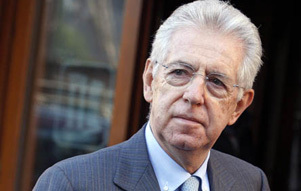 January 23, 2012 ~ The White House press office announced today that President Obama will host Prime Minister Mario Monti of Italy at the White House on Thursday, February 9th. Italy and the United States are close NATO allies, and coordinate continuously on a full range of regional and global priorities. The two leaders will discuss the comprehensive steps the Italian government is taking to restore market confidence and reinvigorate growth through structural reforms, as well as the prospect of an expansion of Europe's financial firewall. Italy is also a founding member of NATO and the President appreciates Italy's important contributions to international security, within Europe and beyond, including its continuing leadership in the ISAF mission in Afghanistan. President Obama looks forward to consulting with Prime Minister Monti about preparations for the 2012 G8 and NATO Summits that the United States will host in Chicago, as well as discussing developments in the Middle East and North Africa.